There are many articles written on comparing direct mail against email marketing. Both belong under the marketing term of ‘direct marketing’ and both have their advantages, but if you can integrate them both into a campaign the results can be staggering. Let’s start off by looking at the strengths of using direct mail and how it is used by most organisations. Direct mail is defined as the marketing of products and services through promotional printed advertising materials which are posted to the recipient’s home or business address. The common use of direct mail in the UK is to send brochures, welcome packs, billing statements, loyalty rewards, and formal documents. Printed mail can provide you with key differentiation from your competitors and deliver your brand into the palm of your customers’ hands… literally. It is no wonder why a brand or solution can be remembered more by people when they receive direct mail over any other media type. Now let’s look at email marketing, which is being more widely used than direct mail around the world. The main reason email volumes are higher than direct mail, is mainly down to the cost of sending an email is less. In the UK, 74 trillion emails are sent in a year compared to 13.8 billion direct mail items. 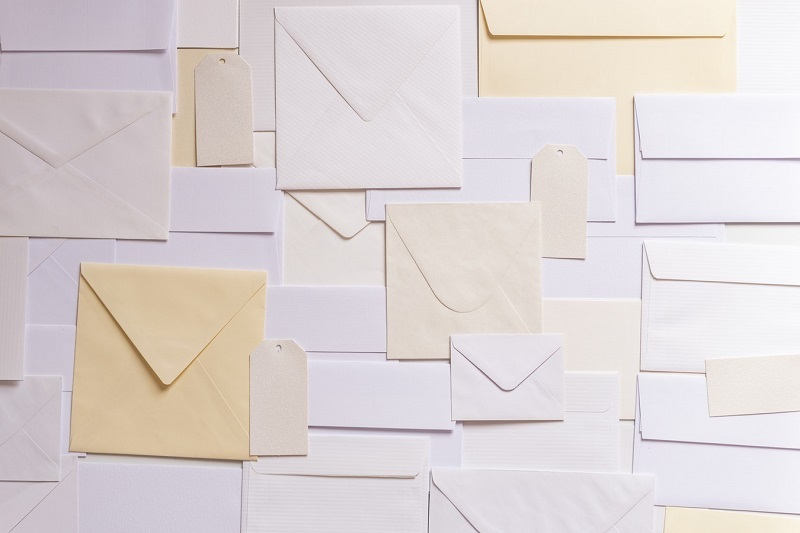 The sheer quantity of emails being received has had the adverse effect and the open rate is far less than direct mail . If fact a email has only seconds in its life span and most of the time is ignored or blocked. Although lower open rates, email is digital and can carry media like embedded videos or allow instant sharing with colleagues and friends across social media. The common use of email marketing is to promote products/services, confirmation messages, and for news updates. Looking at the strengths of direct mail such as a higher open rates, more interactivity and people are more likely to remember your brand, this is by far the best way to kick off your campaign. As there is less printed mail being circulated than emails, it will also help to differentiate your company. Nearly everyone today has a smart device and therefore you can now easily integrate digital and email content into the design of a direct mail item. You can use QR code barcodes, near-field communication (NFC), or augmented reality (AR) to link your direct mail piece to your digital campaigns. Smart handheld devices have really given direct mail another powerful USP and given your message the best chance of getting noticed. This can really help to get your campaign off to the best start and help to increase open rates as well as a improved ROI on your email campaign. You can use your direct mail to point people over to a landing page designed to sign up for specific offers. The direct mail item and the landing page can then set the expectation with the customer to look out for an email, which will have a special offer code. Your campaign is gaining two things here. Number one – you are building your customer database, and two – you are set to achieve improved email open rates. The other key gain is that if the prospect has registered and received a voucher code, you can almost expect a purchase to be completed and thus ensuring an improved ROI. You can also use the higher open rate of a direct mail campaign to inform new prospects or existing customers on receiving an email with important documents, which need reviewing and signing. Again, this will help to increase the email open rate and ensure the delivery of important documents. You can focus an email address on a direct mail item to be your key call to action RSVP. This will help to capture leads straight into a specific inbox or CRM system. The direct mail item can also be designed to get people to subscribe to your digital newsletters using their email address via a landing page, which takes GDPR into account. Again, you will be getting the best chance to build your customer base and will be achieving improved open rates. It is proven that people have a stronger emotional response to something physical, especially if it has been personalised. Something real in your hands is harder to ignore and gives your brand the best chance to get noticed. The introduction of GDPR has got more brands thinking about or using direct mail and it is helping to improve customer retention and sign up. Technology has moved on considerably and there is no limit to how you can design your direct mail, even to the point of making it come alive.